I’ve begun my birthday treat-to-self 4-day-weekend today. I went down the road for breakfast at A’s early-ish (before she and her Mum jetted of to Rome) and have been doing a few odd admin chores, watching Loose Women and generally pottering about with the aim of getting ‘stuff’ done so that I can indulge myself whole-heartedly in the next 3 days. So I sat down to do another favourite thing of mine (blogging ah yes, how do I love thee! counting the ways shall burst forth another time…) and I felt like a bit of an empty vessel, having no idea what to write. …and I smiled and cried all at the same time. It made me think of all the cards and birthday wishes (including the glittery Happy Birthday sprinkles that threatened to fall out of one envelope) and the pretty-to-look-at and completely scrumptious birthday cake that accompanied yesterday’s singing in the office. It’s not my birthday yet (only two sleeps to go…where did the time go?) and already I feel a very lucky girl. 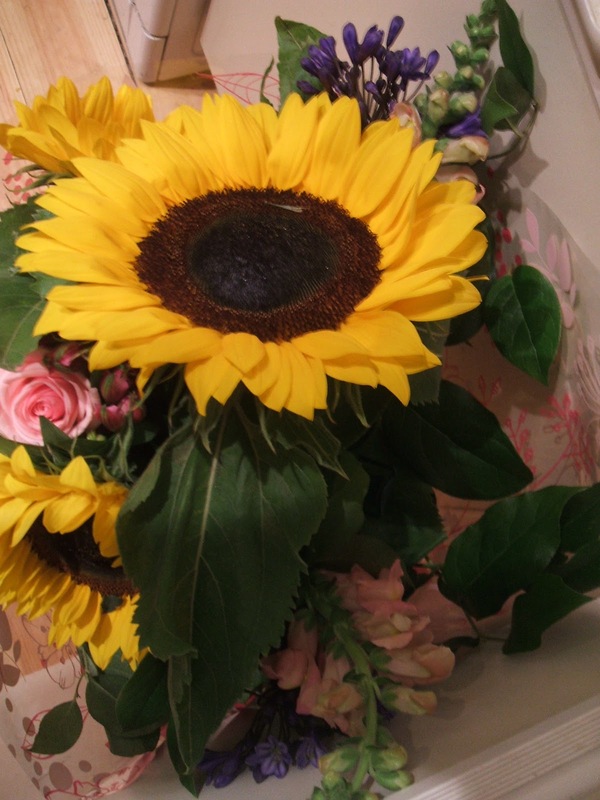 Thanks Mum (and Alan)…the flowers arrived just when I needed them. This entry was posted in Uncategorized and tagged Birthday, Mum, sleeps to go by Kym Hamer. Bookmark the permalink.